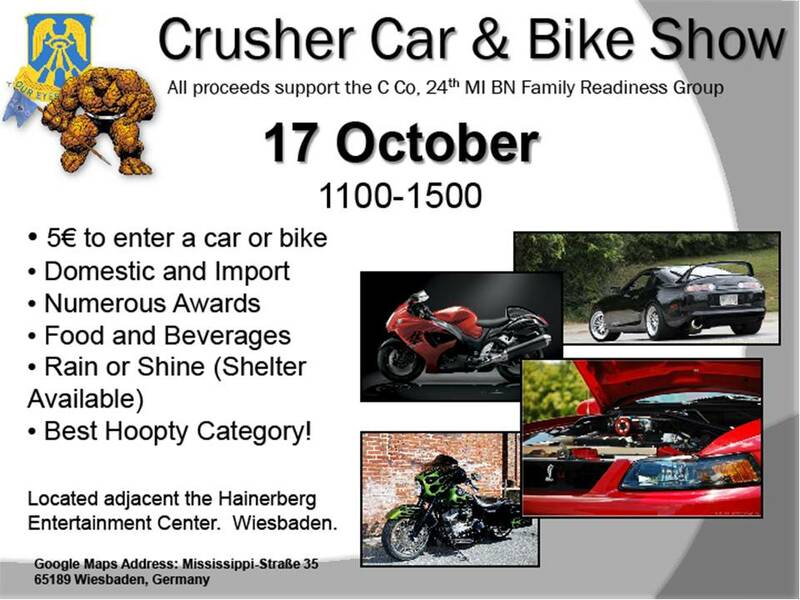 Posting an upcoming car show happening on post in Wiesbaden. It will be on 17 Oct 2010 from 1100-1500. 5 euro to enter. For more info check this thread. There is also a flyer that you can download with the address. God I miss Germany!!! I used to live in downtown Frankfurt a.M.! Wiesbaden was pretty nice too, but I loved driving/riding through the hills towards Königstein... Hit some of them curvy roads for me, eh? I hope I don't end up being the only 8 there haha.